Is investing my super in defence housing a smart move? Defence Housing could be your arrow in the quiver – if growing your super balance is your aim. Here’s a bombshell you can drop on your Usual Employer Super Fund that never may have given you a decent return on your super money: You are setting up a Squirrel self-managed super fund so you can use your super for investing in real estate. Defence Housing, for example. Tell them you realise you dodged a bullet when you decided to leave them, tired of the uphill battle you faced between the years of 1995-2016, battle-scarred from seeing no growth in your balance and your super being eroded by account-keeping fees. And their statements nearly burnt a hole in your retina. So you end it. “Good-bye Usual Employer Super Fund – let’s not open up old wounds, I’m off like a shot. To Squirrel!” Victory, at last. Defence Housing Australia (DHA) generally guarantees a rental income. Rent is often paid monthly in advance and directly into the SMSF account. You still receive rent even when your property isn’t occupied. DHA properties tend to have longer term leases – up to 12 years. The property can be part of DHA’s Property Care program, which will help you maintain high standards. It’s very cost-effective in comparison to other providers. Purchasers also benefit by receiving minimal phone calls or bills about property management, repairs and maintenance. DHA arranges for a licensed independent valuer to annually review your property’s market rent and adjust it accordingly. It can be considered low-risk as it is backed by the Australian Government. If investing your super money in a DHA property tickles your fancy, talk to Squirrel about it. 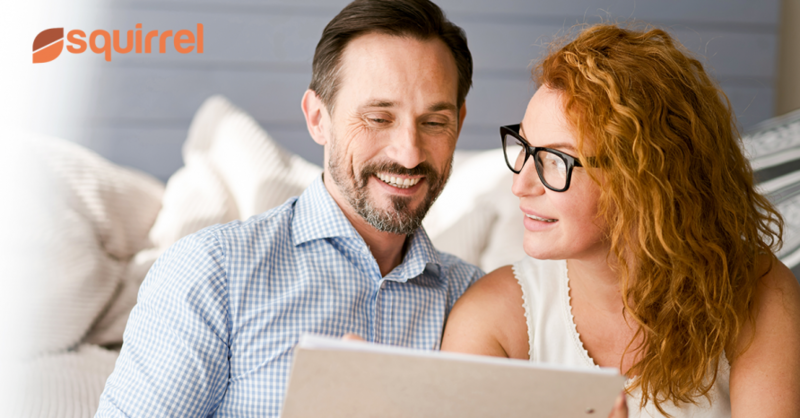 We can help you set up and run your own SMSF in a simple and cost-effective way. Squirrel has a flat fee for its services, which is per fund. As your fund can have up to four members, this flat fee becomes very cost-effective indeed. In addition, all funds are set up with a Corporate Trustee, which lenders prefer. So if you think that investing in Defence Housing will help you achieve your investment goals with flying colours, simply roger that here to get in touch with a Squirrel team member.